With its thriving military base, Seaside, North Carolina, is teeming with heroes of all stripes. 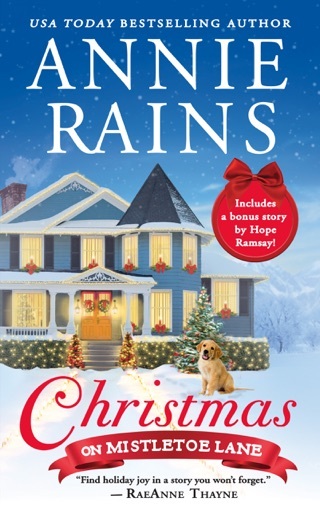 But, as the bestselling Hero’s Welcome series from Annie Rains continues, it takes a cowboy to rescue the town’s newest resident from heartache. After a bad breakup leaves Julie Chandler completely devastated, she comes to Seaside seeking a fresh start. A talented, compassionate yoga teacher, she has developed a program to help alleviate the effects of PTSD, but getting a bunch of bullheaded Marines into downward facing dog might be impossible. So Julie’s shocked when one of her first students dives in headfirst—and almost tempts her to take down her walls with his easy smile and electrifying touch. Ever since Texas cowboy turned Marine pilot Lawson Phillips lost a crew member in a helicopter accident, he hasn’t been able to fly. When a psychologist orders him to attend, of all things, a yoga class, Lawson’s outraged—until he finds out Julie is the instructor. She’s beautiful, graceful, and completely guarded when it comes to his advances, but he’s determined to find out what makes her tick. 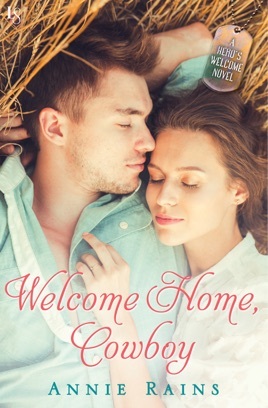 Because underneath Julie’s hard shell is a woman Lawson knows he could fall for—and he’s not ready for the ride to end. Lawson and Julie were both interesting characters with pasts that affected their future. 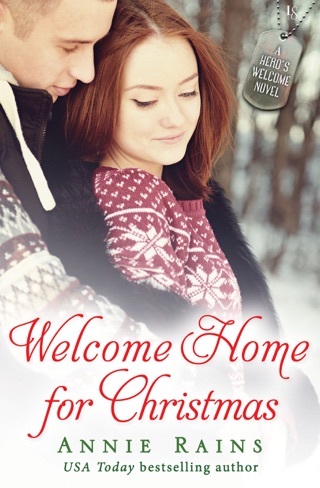 Lawson is trying to get himself back to flying and Julie wants to be in control of her life. She's given up control before and didn't like that life. I liked how they met and how it became a part of what brought them together. There were plenty of interesting characters and little side stories. Kat and Micah. And I'm fairly sure the next story will be about Griffin. He's quite the character also. I would get a kick out of him ending up with the stalker lady. I received an arc from NetGalley in exchange for my honest review. I did enjoy this authors writing. The story was good and the pace moved along well. This is a new author to me, so I think I'll go find her previous book and read it also. This story did have sexual content and language. Returning to Seaside, we have Julie who has come home after a series of fails: failed relationship, failed confidence and an attempt to find her footing. She really wants to make her mark as a yoga instructor, and offers her class and skills at the local Veteran’s center. Lawson is a pilot, injured after a helo crash, and dealing with the associated guilt, fear and other lingering effects of deployment. The yoga class is one of those opportunities that his treatment team believes he should take – and order him to participate with the thought that it will help him build techniques for lowering his stress levels. There aren’t too many shortcuts in the ‘issue’ area here – Lawson has to do the work to get the benefits, and Julie also has her own history of the abusive relationship to put in the past. Their connection is palpable with sexual tension, but these two do serve to help one another move through the minefield that is recovery. While I found that Julie’s final moments leading to her letting go of the past were a bit ‘out there’ and didn’t feel as plausible as I had hoped, she is able to reframe her own expectations and learn to stand on her own two feet as she moves past the self-doubt and questions brought on by that relationship. Lawson was more of an enigma – there were plenty of issues to work through, and I think that there were moments where the issues took the place of development of his character in demonstrable ways. He did grow and develop an understanding of the issues he was dealing with, and we did see him start to come to terms with his own guilt, I wanted a bit more of his journey TO those points. Yes – we see him struggling and later on in his recovery, and a low moment (as this trajectory is never always forward moving) worked to show that these aren’t quick fixes, but I did want to feel that his changes were actually incorporated, so I saw more of his growth rather than just be told about them in different perspectives. 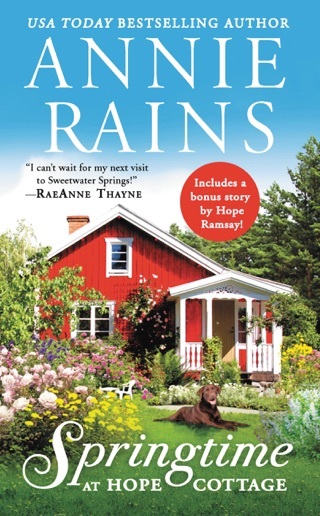 This didn’t detract – in fact for a second published work this book continues to display the promise I saw from Rains’ first title, I just hoped for a bit more. 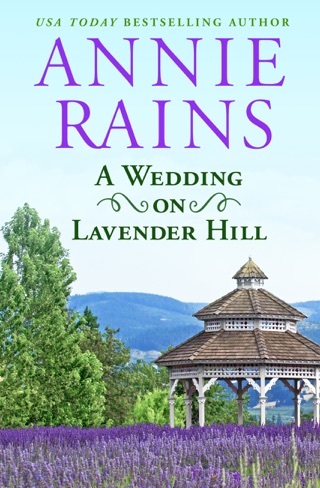 Annie Rains is an author to watch, and this series is a solid read for those who like a rather tortured and troubled hero, or military themes with heart, options and some truly honest perspectives on PTSD, Trauma recovery and coming to terms with the past. Since losing a crew member in a helicopter, Marine pilot Lawson is unable to even get near a helicopter again without having an anxiety attack. So what does his psychologist recommend as a great stress reliever; yoga. As you can imagine this strong, military man was less than thrilled at having to take what he probably considered a “girly” class. And as luck would have it, Julie has returned to Seaside, North Carolina in the hopes of opening a yoga studio for veterans. Even though she will not get paid, Julie jumps at the chance to conduct classes at the center. She is confident that if she can get her foot in the door and show the benefits of yoga for PTSD, she will be offered a paying job. Julie and Lawson’s relationship starts a little rocky. Their first encounter does not go well, think of wet puddle, and he is certainly not happy about being forced to take her class, which is clearly evident to Julie. Even though neither one of them is ready for a relationship, one develops none the less and rather quickly I might add. Overall easy, quick book to read. Of course you have your typical bumps along the road, but they did not detract from the story. Not a lot of inner turmoil. Both characters are likeable. Supporting characters are fun. Look forward to more books by this author.